Edmonton-born actor Nathan Fillion has tweeted his way to a Shorty. The Shorty Awards recognize top users of the micro-blogging website Twitter. 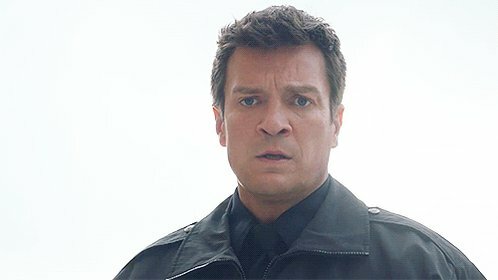 Fillion, known for his television roles in Desperate Housewives, Firefly and the current ABC series Castle, as well as the feature film Waitress, has more than 509,000 followers on his Twitter account, @NathanFillion. The actor won his Shorty in the celebrity category, beating out renowned British comedian and writer Stephen Fry, Brazilian singers Ivete Sangalo and Claudia Leitte, Filipina actress Angel Locsin and fellow Canadian actor David Hewlett. There are 26 categories for the Shorties, including humour, journalist, politics, food, apps and weird. The awards were given out Wednesday night at a gala in New York hosted by CNN anchor Rick Sanchez. Winners are selected on Twitter by public vote, as well as by members of a selected Twitter-user jury.